You start the game by picking up a class from a list of 9, which is way higher than the default choices you had in classic Maple Story. I guess it’s a bit tough to figure out which character you’ll want to try because they don’t give enough information about your strengths and weaknesses, but I decided to go with the Heavy Gunner. After designing my character I was treated to a bunch of cutscenes and dialogue I had to mash through. I guess it’s nice to have some sort of story arc in your MMO, but I felt like Maple Story 2 perhaps did too much and it was a bit overwhelming. I kinda felt like I just wanted to go and kill 10 of something to learn how combat worked. You’re thrown very quickly into a huge world map with quests seemingly everywhere. I’ve found the world map and the progression of Maple Story 2 a bit less intuitive than the first one. You’re sent from map to map very quickly and it’s just easier to just follow the main storyline rather than try and explore and find quests here and there. You get special rewards for accomplishing different tasks in each map, but if you’re just going through the motions this kinda gets lost in the background. You’ll find mini-bosses here and there, NPCs to speak to and other activities, but I just went with the main story for a good while. Maple Story 2 keeps the stat points and the skill point systems and these aren’t great. The stat point system is again a bit superfluous, you’re not really sure what they’re doing and where you should place them and some stats are useless for your character, so don’t even bother with them. Skills are a bit better, but only because they’re level gated and the actual range of decisions you have to do with them. 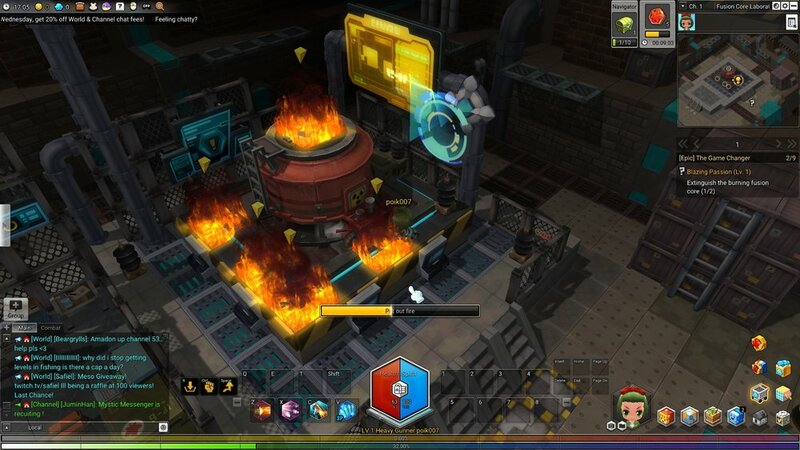 The skills themselves are fine, but their description can be too complicated and a bit rough. There also seems to be some overlap between many skills with their only functions to be dealing damage. But I can only speak for the Heavy Gunner. 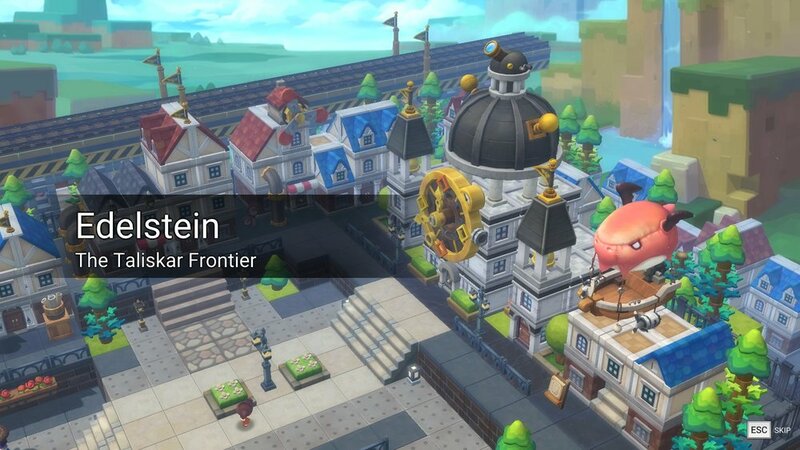 Otherwise there are a ton of other features in Maple Story 2, a house you can decorate, flying mounts, time-based bonuses, crafting and gathering of resources, fishing and all that. I tried to sample a bit of everything but didn’t have time to really examine each system in depth. 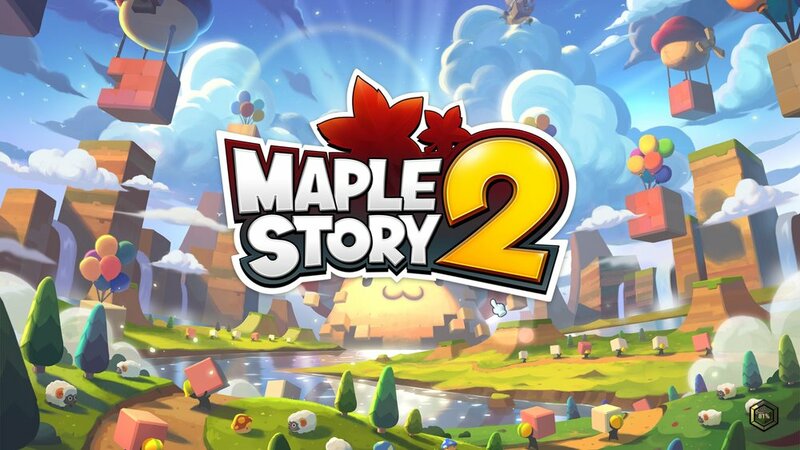 They all seem pretty fun and cohesive and with dungeons and a big batch of endgame content, I could see someone sinking a large number of hours in Maple Story 2. For what I’ve played, it’s real cool. Just… don’t try to make me ‘regret’ quitting the game with your anime bunny lady, please.